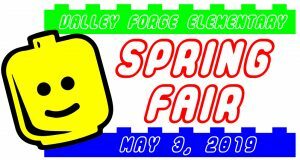 Planning is underway for the 2019 VFES Spring Fair! This event is our largest and most enjoyed fundraiser of the year. However, putting on such a great event requires lots of help — and we are looking for volunteers! As we are still early in planning, we are currently seeking chairperson volunteers who wish to take the lead on particular components of the fair. Once we have the initial planning completed, we will then be soliciting the many volunteers needed on the day of the fair – watch for announcements. Please see the Sign-Up Sheet to volunteer for positions – thank you! !